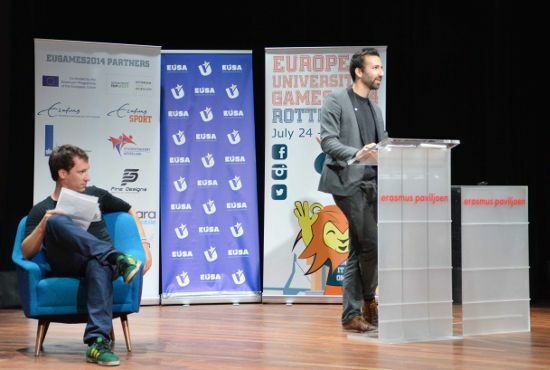 The occasion of the largest university multi-sport event in Europe – the European Universities Games is also a good opportunity to focus also on other issues related to students. Youth employability is a global problem today and Europe is no exception. Numerous actions and programs are designed and implemented in order to increase youth employability at national and European levels. We believe young people involved in the different dimensions of sport can and should gain a lot of experiences and obviously benefit from it. On one hand, for example, athletes gain eagerness to achieve goals and learn to deal with success and failure. On the other hand all volunteers involved in the sport world are given the opportunity to develop specific working habits in various areas, to meet new cultures, they see the backstage of huge sporting projects and learn out of them. The list of skills one can develop through investing time in sport is almost endless, but one needs to be aware of it, one has to reflect upon his/her own experience to be able to identify these new skills and competences. These experiences can prove crucial when it comes to making the difference on a CV or during a job interview. There are a lot of young very well educated people out of employment all over Europe. Life is a battle. You can win or lose the game only for a second or you can get a job or miss an opportunity because of a small value-adding experience on your CV. Every small experience you add to your personal life through sport can make you to turn this in your favor. ENGSO Youth, in cooperation with EUSA, ISCA and other partners are trying to raise awareness about the issue of youth employability, with special focus on sport. 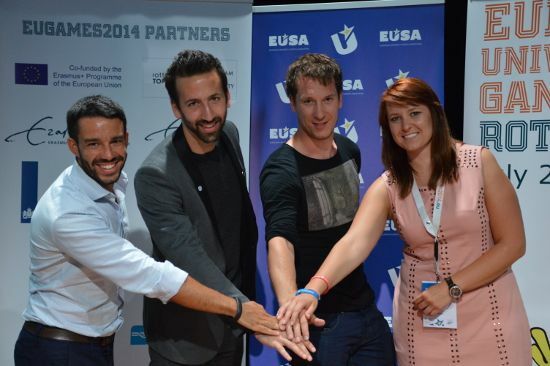 The EU-funded project Sport Employs YOUrope, is exploring European galaxies of partnership to enhance youth employment and entrepreneurship in sport. As part of the project, a workshop on youth employability was held in Rotterdam on July 28 during the European Universities Games. Help us and answer a short survey online and read more about the project! The authors Jaka Bassanese (from Slovenia) and Valentin Dupouey (from France) are university graduates and also took part in the workshop in Rotterdam as speakers. Please see What's up! - Monthly Student Column for more articles coming from students from all over Europe!